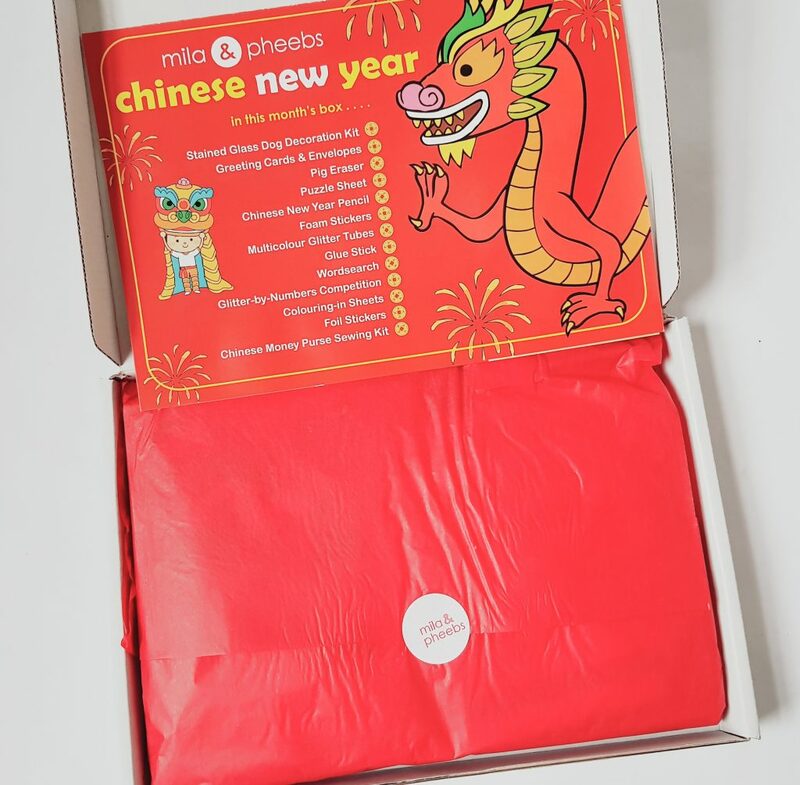 This month’s theme is great for February – Chinese New Year! 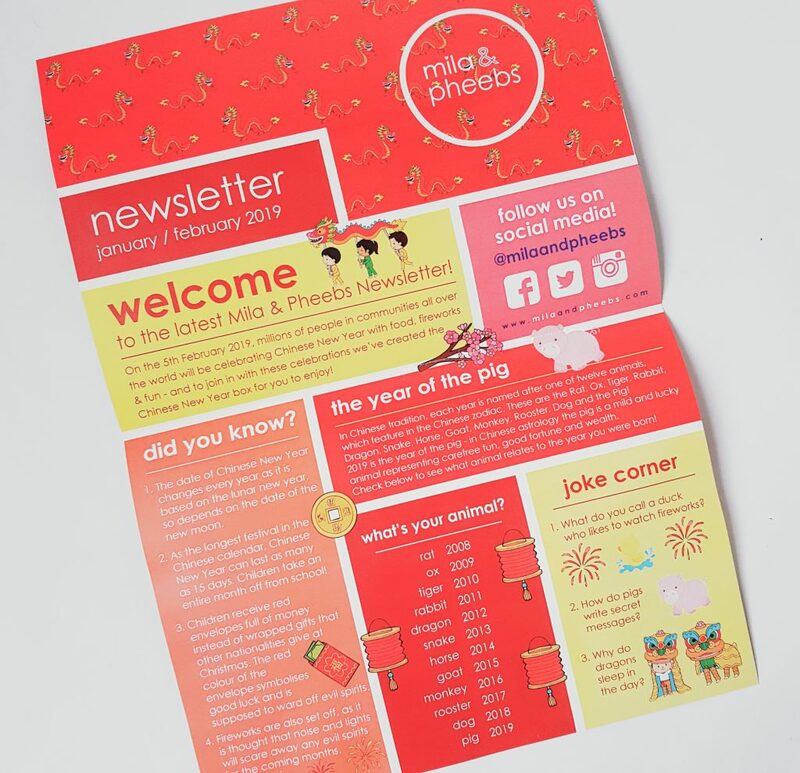 There’s some fascinating info in the newsletter this month, as well as some excellent jokes. Lots of stickers! 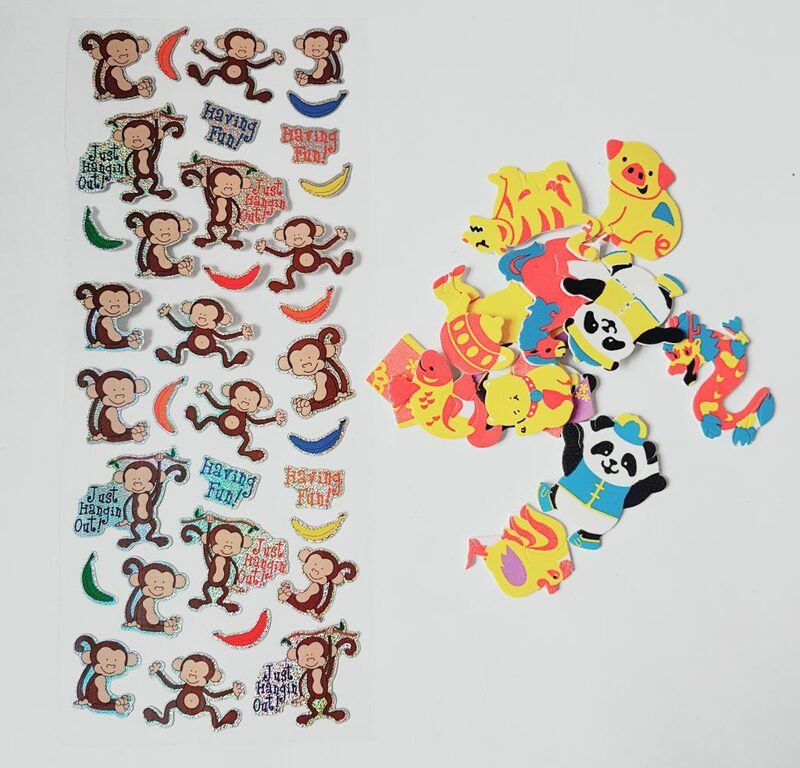 A sheet of funny holographic monkey stickers, plus some Chinese-themed foam shapes. 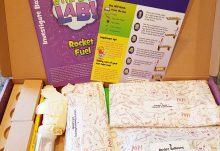 Here’s the first of the three craft kits. 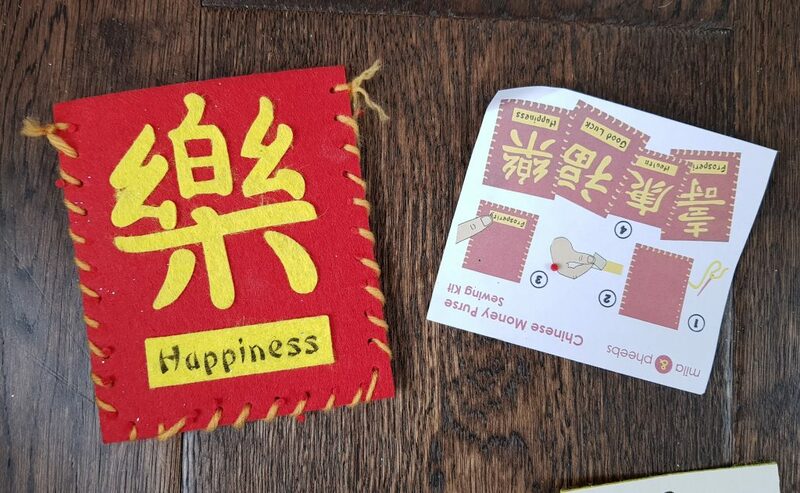 This one is to make a little Chinese Money Purse. 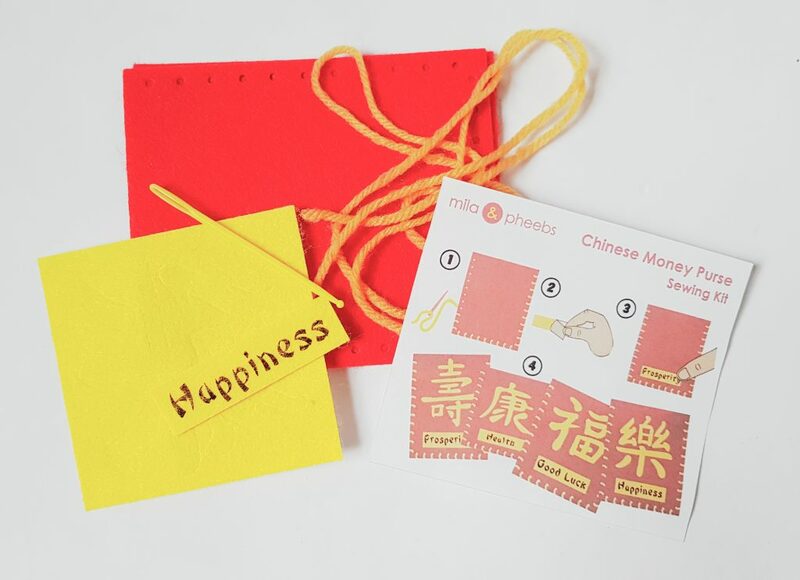 These little red envelopes are traditionally given to children at New Year, and contain money. 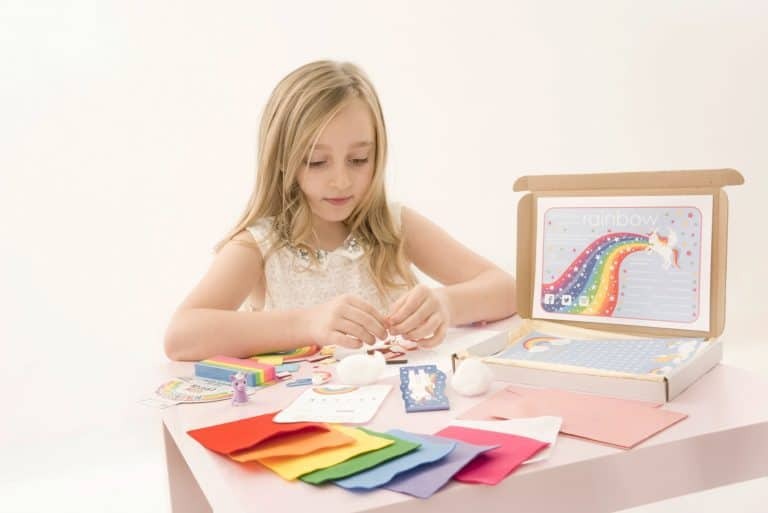 This kit contains everything you need, including a child-safe needle, so it’s easy for little hands to make. As it’s the Year of the Pig this year, the collectible eraser is a tiny pig! How cute is that? There’s also a Chinese dragon pencil. 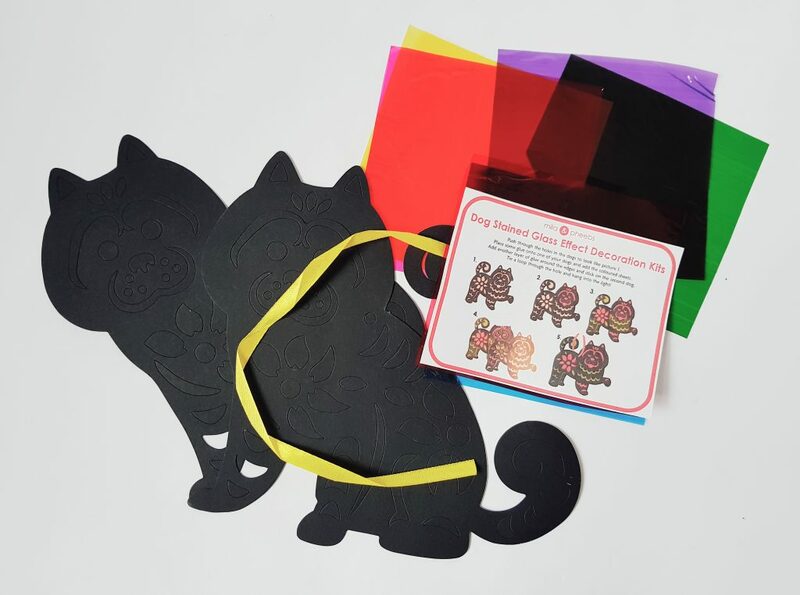 The next craft kit is making a Stained Glass Dog. Of course it’s not real glass, it’s made with coloured cellophane. 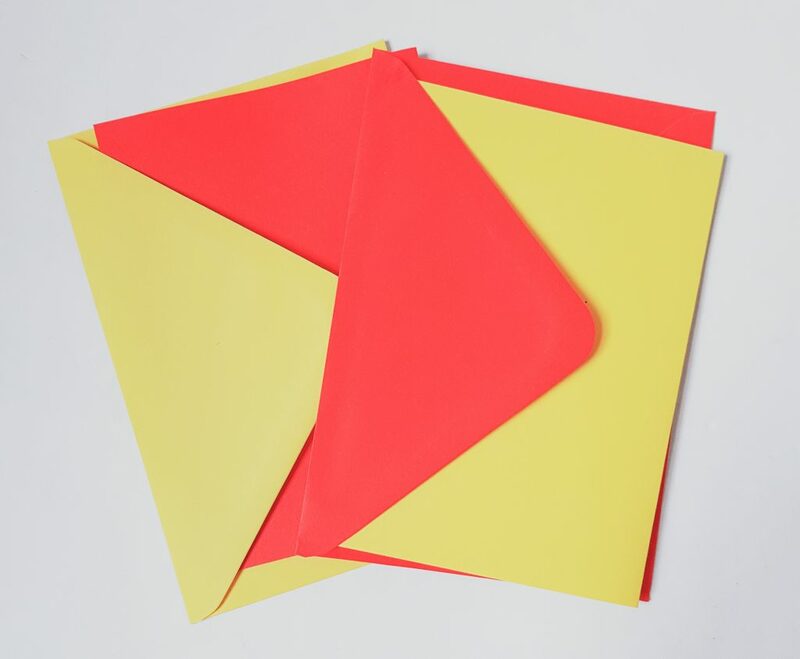 You pop out the decorative shapes from the two dog cutouts, then stick the cellophane over the spaces. 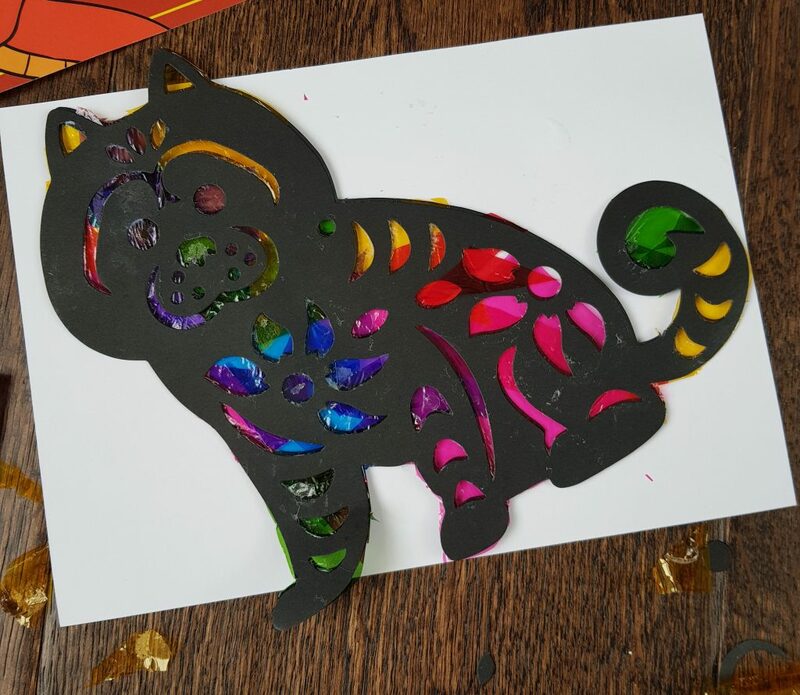 Put the second shape over the top and you have a beautiful colourful Chinese dog to hang in the window! 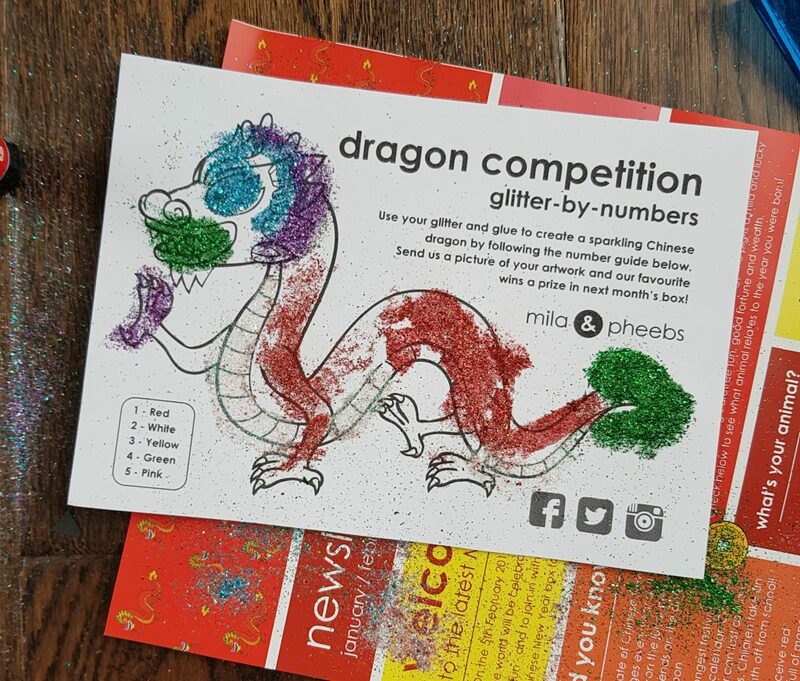 There’s also a Design a Dragon competition, which comes with glitter and a glue stick. 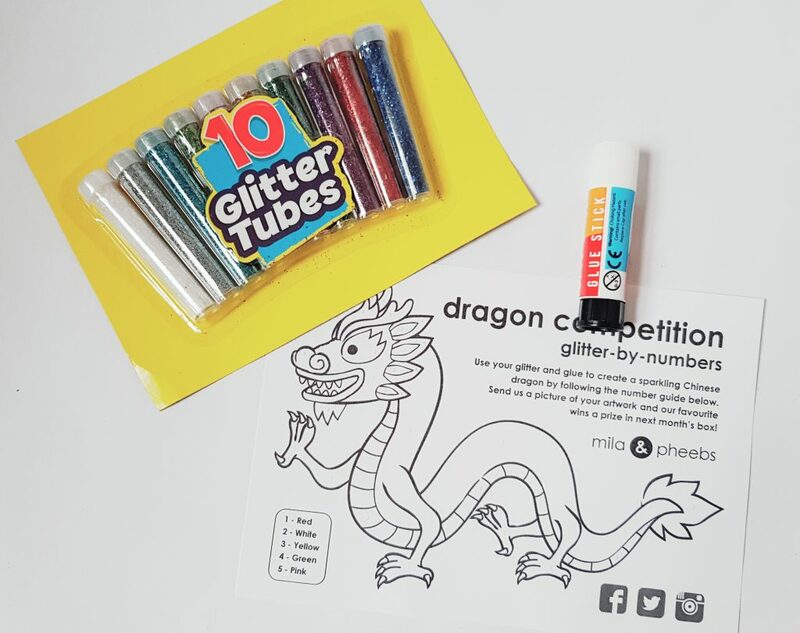 It’s not that easy to be accurate with the gluestick, but every child loves glitter! 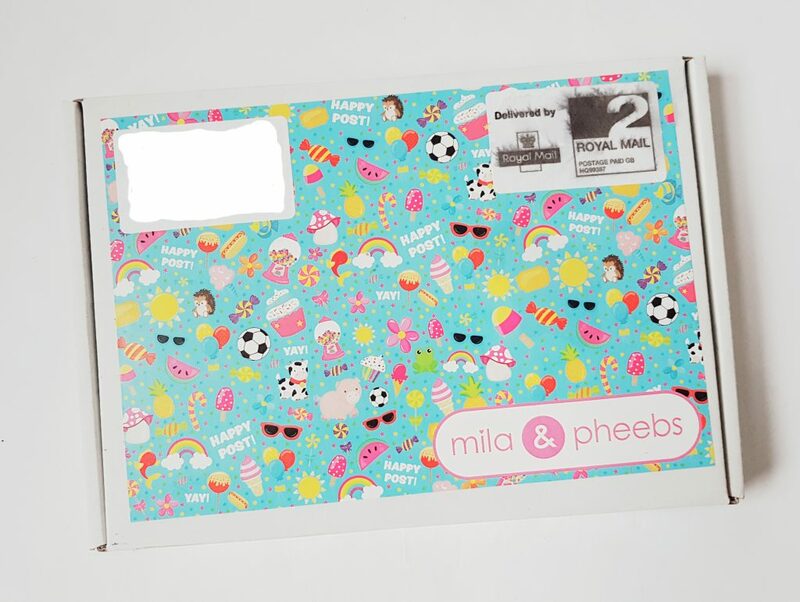 Every Mila and Pheebs box contains two blank greeting cards, this time is gorgeous bright traditional colours. Finally, colouring sheets and puzzles. 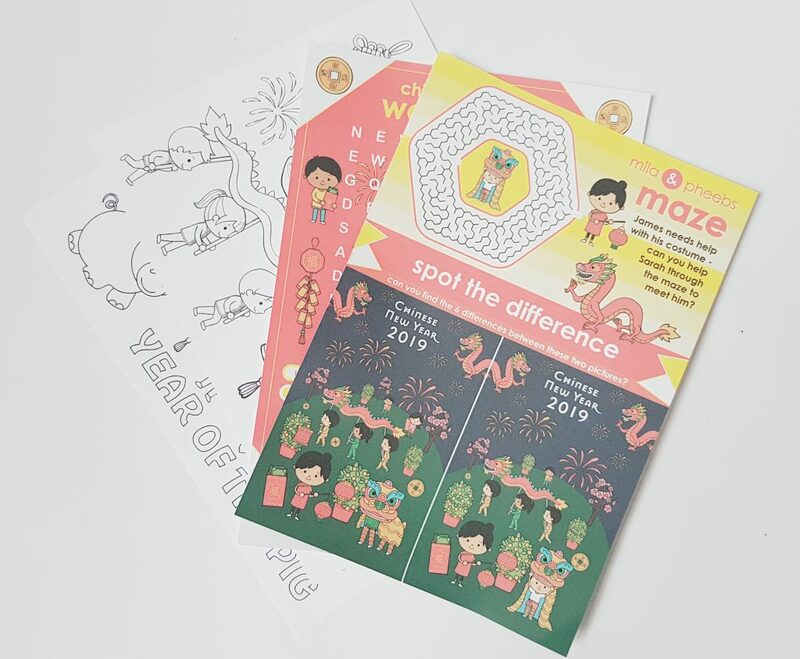 There’s three lots of puzzles this time, a wordsearch, a maze, and a spot the difference. I love this month’s theme, because it’s so interesting. 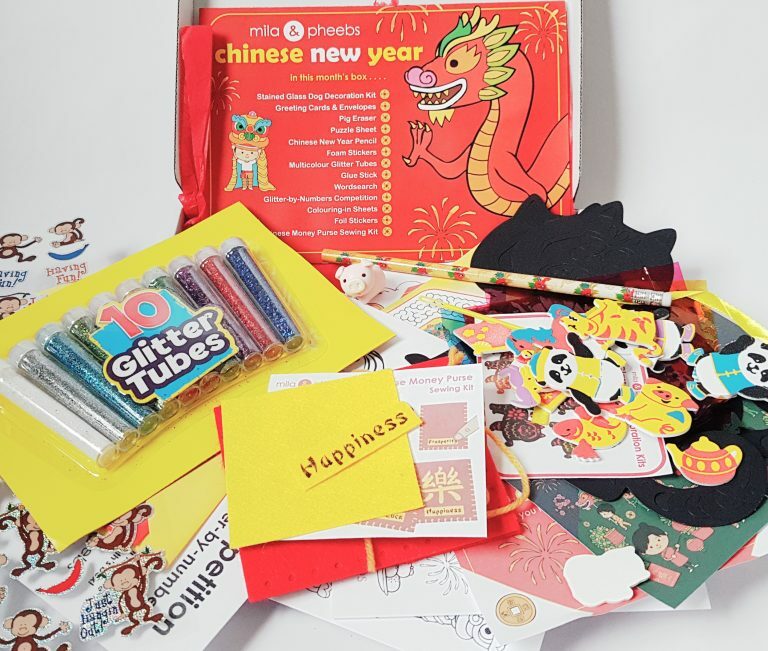 There’s so much to learn, and as a lot of schools will be doing Chinese New Year activities, this will dovetail very nicely. Like most parents I always dread the appearance of glitter, but children have such fun with it it’s worth the mess! 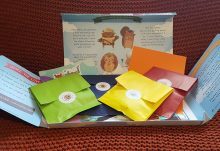 Blank greeting cards are a superb idea; I think children should always make their own cards instead of buying them, and this is a great way to keep up your stash with fun colours. 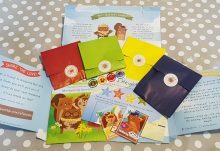 There’s plenty to keep a child occupied, and while they might need a little help with some of the crafts, there’s lots of opportunity for free creativity as well as making specific items. 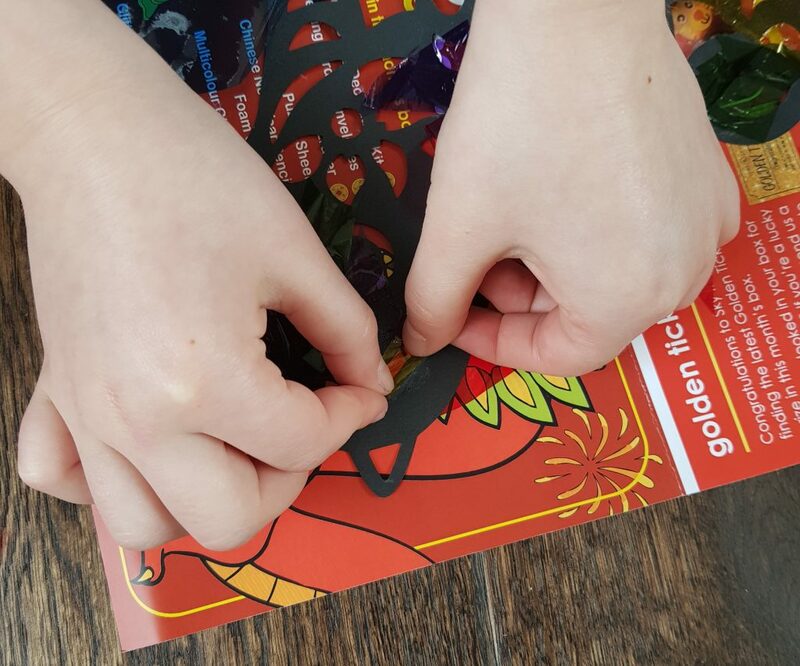 A lovely selection of crafts and activities with a terrific seasonal cultural theme!